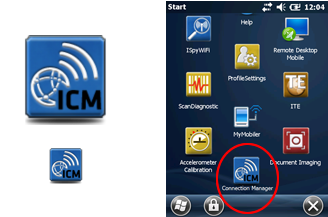 Intermec Connection Manager is an Intermec application for use on mobile and stationary computers to manage network connections. 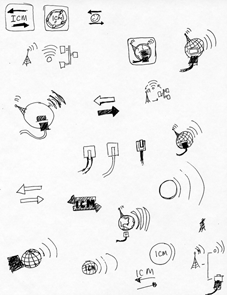 Prior to this project the Intermec slanted "I" was used as the desktop icon to launch the application. 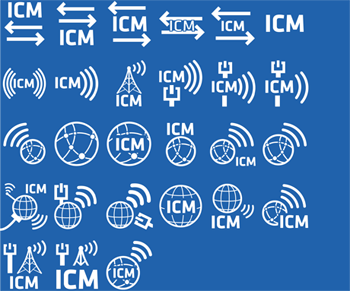 This does not match any of the other desktop icons for Intermec applications, and Intermec is no longer using the stylized "I" as an icon. 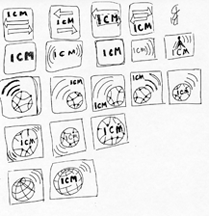 The UXD group is tasked with creating a cohesive, recognizable design style for Intermec application icons. 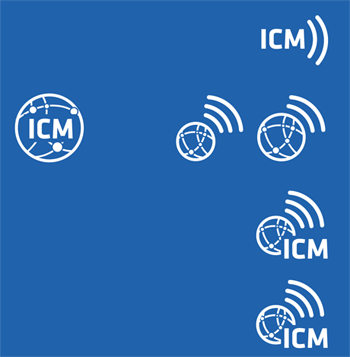 For this project was asked to redesign the Connection Manager icon to fit within the design style. I started with sketching ideas for the basic concept/function of the connection manager. 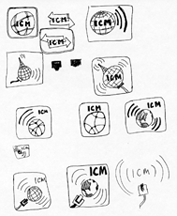 Then, I combined ideas from the basic sketches into more cohesive icon ideas. I presented my designs to the UXD group, and together we reviewed the sketches and selected a subset to further develop into digital vector sketches using Illustrator. After creating the digital assets, I organized a review and through discussion our group chose a final design. During this work I felt like ICM was not standing out enough against the globe and waves when sized appropriately, so I changed the text to black to help it stand out. I presented this change to the UXD group for feedback, and it was accepted. Then, I created the final .ico file containing all of the required sizes and bit depths using Axialis. Each of these items were examined for visibility and readability and corrected by hand if needed. The final icon file was reviewed for acceptance and then delivered to the stakeholder for this application.